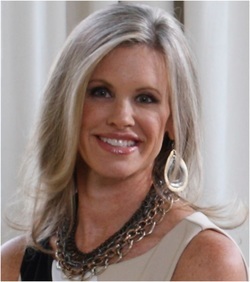 Kristin Drohan, one of America’s most versatile interior designers, offers complete design services and her own furniture line to elite clients throughout the country. Kristin, whose work has appeared in print and on-line publications nationwide, works with industry leaders of Fortune 500 companies, financial executives, technology company managers, doctors, corporate attorneys and other leading professionals from Boston to Atlanta. ​​​Deborah Cronin has worked in the home decorating industry since 1986. Leatherwood Design Co. fabricates soft furnishings exclusively to the trade, and Deb's workroom projects and operations are documented in her blog, leatherwooddesignco.blogspot.com. Recently, Deborah has been enjoying sharing more about fabrication with other workroom professionals, teaching at venues such as the Custom Workroom Conference and the Custom Workroom Technical Center. Rosemarie Garner is the owner of R Garner Custom Designs, LLC - a To the Trade custom window treatment design and fabrication firm serving the Northern New Jersey area since 2006. Along with keeping up with current trends with her membership in WCAA, Drapery and Design Pro network, and industry conferences, Rosemarie also teaches at the Custom Workroom Technical Center. This course describes in detail the fabrication of high end upholstery made sustainably and with hypoallergenic construction methods. It gives the student the knowledge to decipher the complicated landscape of terminology used in the industry today for the sole intent of confusing the end user. It also provides information on the safety of the products being produced and how we should specify them. Earn CEU's for this course. This course describes the current fabric, finish and frame trends in the design industry. It will provide tips on selling and specifying upholstery in a competitive market place. Finally, it gives the designer a working knowledge of terms and education to get that custom furniture ordered accurately. Collaboration between the designer and a creative workroom is what makes the designer's vision a reality. Deb and Rose will share real-life solutions for achieving the designer's aesthetic goals, as well as creative options for installation constraints, such as working around molding or inside mount shades. In addition, they will address issues such as manipulating a relaxed roman shade silhouette and how to work with pattern. Not only will you see multiple shade samples, you'll also have an opportunity to discuss your own tricky scenarios. You'll go home with a fresh perspective and an arsenal of ideas that will help you solve your next challenge. ​Space is limited and registration will be accepted on a first come, first served basis.